What Locks Should I Use for my Storage Unit? What Locks Should I Use for my Storage Unit? What Locks Should I Use for my Storage Unit? Storage units can be incredibly useful for a variety of reasons. Whether you have clutter that you want to get out of the house or you just need some extra space, they are a great investment. One of the most important concerns with a storage unit, however, is security. It is important for your peace of mind to ensure that all your things are safely locked away in your unit. For this reason, it is critical for you to have the right lock on your storage unit to make sure that all your equipment is safely stored away. Here are a few thoughts on which lock you should get for your storage unit and things to consider when purchasing this lock. One of the most important things to consider when trying to buy the perfect lock to secure your storage unit is the strength of the lock. The stronger the lock is, the less easily the lock will be broken. If the materials that make up your lock are strong, you can rest assured that all your materials are safe. Steel is one of the strongest materials that a lock can be made from. Even some relatively inexpensive locks such as the Stanley Hardened Steel Padlock are made from this strong material. Another very strong material found in certain desirable locks is barron alloy, which can be found in locks such as the Medeco M3 Shrouded Padlock. Locks made of steel or barron alloy are sure to keep your belongings as safe as possible. Another thing to consider when you are setting about to make any purchase is the cost. If a lock for a storage unit is expensive that does not necessarily imply that the lock itself is good. A lot of very good, secure locks for storage units can be found on Amazon for a very affordable price. 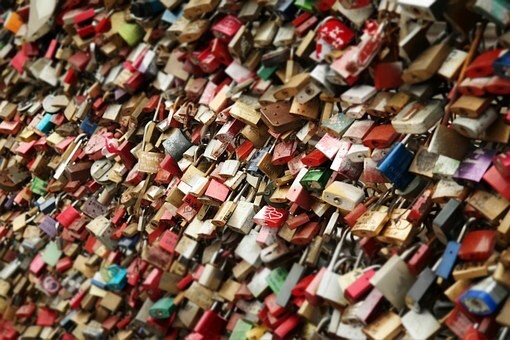 Many of these inexpensive locks are equipped with technology that makes them incredibly difficult to pick. The Abus Granit lock is one example of this. The core is made of very strong materials, which makes it incredibly difficult for a person to pick. The more difficult a lock is to pick, the more secure the materials that you are storing inside of the storage unit are. This lock is not incredibly difficult to find nor expensive to pay for. Regardless of who runs your storage unit, the storage unit company that you are renting your storage unit from may have some advice when it comes to locks. The company will likely know which locks are best to keep materials that are stored in their storage units safe. At Autumn Wood Storage, our Sun Prairie storage units come backed with excellent customer service. Our staff is always available and ready to help any customer who has questions about the safety and security of their items. Our level of customer service is in and of itself another level of security that is provided.